Research firm IDC predicts that some 1.2 billion workers will be using mobile enterprise tools by 2011, representing roughly a third of the total global workforce (February 2010). Some of these people are almost exclusively mobile, whereas some will only occasionally use mobile enterprise tools. Whatever the case, there are very few who would argue against the fact that investing in mobility has the potential to raise productivity, accessibility and visibility. 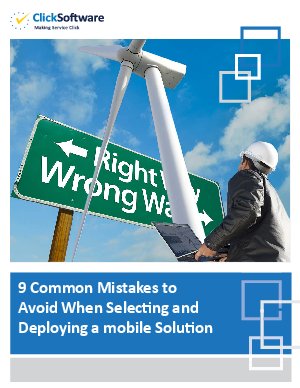 However, as many have already discovered, selecting and deploying a mobile solution is complex and brings many challenges and considerations. Scalability, integration, device selection, wireless communications, security, working environments, and buy-in from the user are just some of the things that are involved in this area, and so the list goes on. Along with the huge rewards it can bring, deploying a mobile solution can also involve many risks and potential pitfalls.